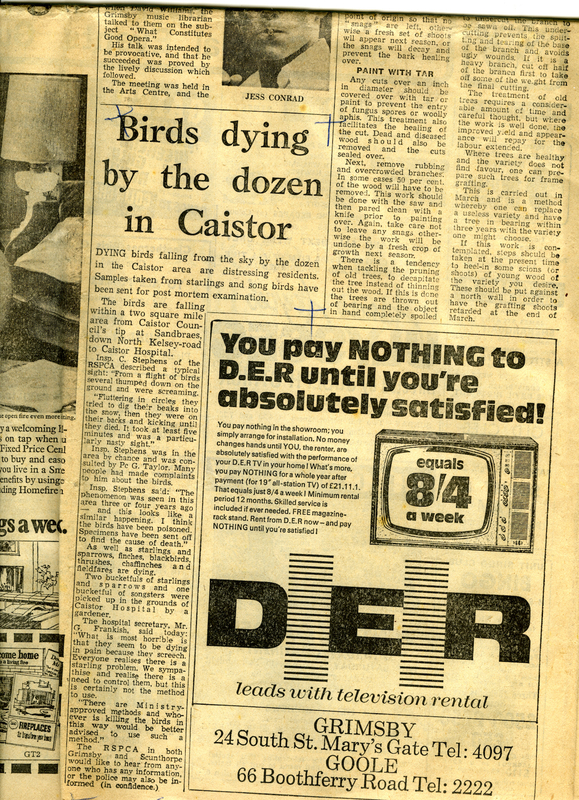 1969 Newspaper Article “Birds Dying By The Dozen” Mentions Caistor Hospital. Mr Frankish and the R.S.P.C.A.makes comments. 1898 March 28th …. Mr. Surfleet be delegated to ask the District Council if they are prepared to take over the Caistor Parish Chalk Pit (Whitegate Hill) and the Parish Sand Pit (Sand – braes) as their property..